May we invite you for a journey? A journey that starts and ends with you. Would you like to contribute to the world what it really is that’s yours to contribute? Know that what you are doing is of value? This journey leads you there. We will make you feel what you exemplify and where your strength lies. We will let you experience who you really are. And we will give you that push that helps you shape your life. So you can be who YOU are with more consciousness, focus and flow. This retreat is about more than quick wins and solutions. We won’t teach you tricks to do, but we’ll teach you to connect to who you really are. Be more, do less so to speak. Things that stem from BEING have way more impact because they come from a complete YOU. During this retreat we will give you the opportunity to reflect and then move forward. But into the direction that fits you to the core. You are a talented woman. You know who you are. You know you have value and that you can add something meaningful to the world. It’s hard to live every moment with that in mind. To make choices that stay true to who you are and reflect who you are, even under pressure. Do you dare to do it? Are you brave enough to commit to something that would really benefit YOU? We get it. There are a 1,000 reasons NOT to go. Money, just to mention one. Because of that family holiday, redoing the house, you name it. And of course, time, because who will make sure that the world keeps spinning at home and at the office? Where do you want to be in a years time? Will you be satisfied if you are still exactly where you are right now? We don’t think so. That’s why we invite you to do this for yourself anyway. Choose what is truly important for you and your development, that is, after all, exactly the challenge! There’s no time like the present. Your life, like you truly want it, is waiting. Including time to work at being yourself. Time to rest and be at peace. By who YOU could be. Provided you are brave enough to choose YOU. 5 nights. 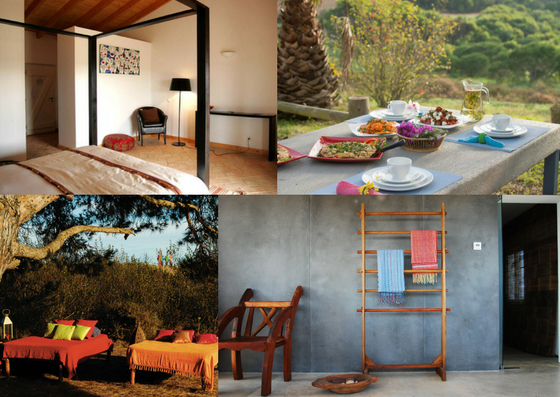 In spacious, shared rooms in the beautiful Monte Velho Eco Retreat near Carrapateria, Portugal. With pool! All meals. Super healthy, delicious, vegetarian. Fresh and local. Een shared car to go to the beach or discover the surroundings. 11x Sovereign Self Sessions. Rosalie & Maaike will guide you in connecting your energy and your power. Daily morning practice. Yoga, Qi Gong of Qoya dance. Surf class. At the beach with a professional teacher. Sauna session. A lovely (shared) sauna-hour. Time to yourself. At one of the most beautiful spots in southern Europe. Soul Inquiry. To listen to the whispers of the soul. 4 element development compass. So you’re able to guide your Sovereign Life. Self assessment. At home in preperation of the retreat, zoom into your story. Meditation. A guided meditation to research what your goals are for this retreat. Post-retreat event: Being your Sovereign Self-event in Amsterdam. 1:1 session with Rosalie or Maaike. Unique for this retreat, limited availability at a reduced price. Massage. Monte Velho offers different massages, that you can book on-site. Certified transformational presence coach, graduated astrologer, mother of 2, highly sensitive, slightly pedantic, a searcher that finds, loves fresh colourful flowers, lichtwerker and entrepreneur. I work with multi-talented men and women, a lot of them entrepreneurs, that are done with the rat-race and know and feel that things should be different. They don’t know how exactly, but they want to integrate their intuition and senses in their work. What I bring is spirituality and practicality and I’m down to earth. During the individual Re-connect to your essence-paths and retreats I can see my clients flourish. The marvel that is created when they (and I) experience the bigger picture is what makes my heart soar. Through my work I will let you experience that you are part of a bigger whole and in that whole you can take a unique place. And that, by taking that place, you won’t just live up to your potential but also add balance and depth to your own life. Become your Sovereign Self is our dream where all the elements of Sovereignty come together. My name is Rosalie. Beloved and mother, transformational presence coach & consciousness teacher. I enjoy freedom, the sea, openness and kundalini yoga, running and beautifully polished nails. In my work, leadership is key because leadership is primarily about you: taking charge of your life, of your story, your talents and your challenges. It’s about taking the lead in a conversation to make sure the true subjects can come to light. Only when then can you lead processes and other people. I do what I do because I believe in a world where everyone can be who they truly are and where everyone has the skill to fully connect to others and speak their truth. It is my mission to help people develop their sovereignty. To do that I always work according to the four pillars of Sovereign Living: truth & authenticity – passion & purpose – self care & living your truth – personal presence & power. 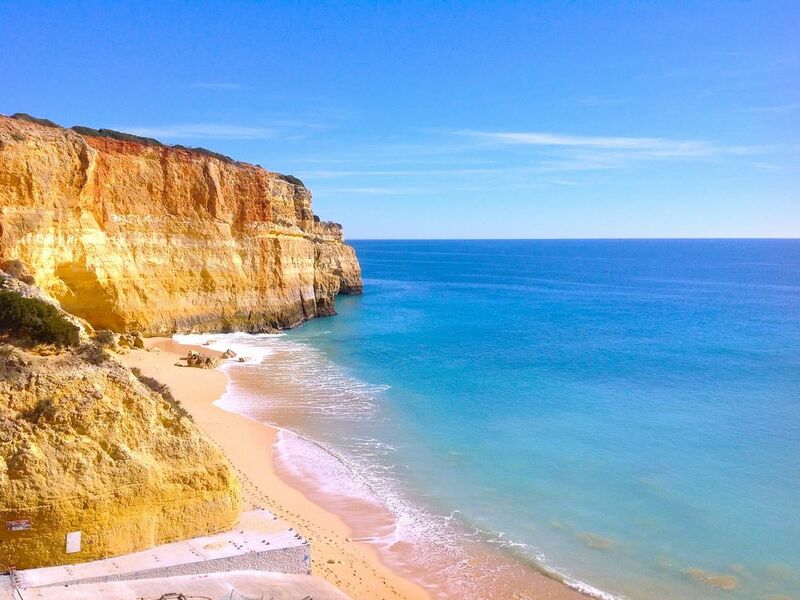 I’m excited by the outlook of submerging myself with you and Maaike at the retreat in beautiful Monte Velho and together take the steps towards your Sovereign Life! Can you connect to your true self in only 5 days? Absolutely! Time and time again it’s a small miracle to see the transformation in our participants. Completely recharged, with a smile on their face they experience; yes, this is who I am. Rosalie and Maaike facilitate this process in a serious but light-hearted manner. Who is this retreat meant for? This retreat is for women who are ready to embrace their Sovereign Self. Therefore becoming who they are meant to be and live their life with more balance and pleasure. Your days are busy as they are so, for this retreat, we’ve consciously scheduled personal time. Time where you can discover whatever you want and take the time to do just that. Are flight and transfer included in the price? No, flight and transfer are on your own account. Which airport do you recommend? Faro is your best choice as destination. What happens when my flight is cancelled? You are responsible for taking care of any flight changes and/or using travel insurance. Let us know if there is any trouble at hello@sovereignlifeacademy.com. How many participants will the retreat have? There will be between 10 and 12 participants. I'm not a vegetarian. Can I get meat with my dinner? All menus are carefully prepared by the vegetarian chef that uses local fresh produce. That means no meat. What extra costs should I expect? During the retreat you will have the possibility for an extra 1-on-1 session with Rosalie or Maaike at reduced cost. You can also use the therapy facilities at the retreat at a friendly price. What kind of cancellation policy do you have? Cancellation deadline is Monday August 6th 2018. If we find a replacement for your spot we will return your money minus €300 administration costs. Where is the Monte Velho Eco Retreat located? The location is a hidden gem at the Sout West coast of Portugal where nature shows her power and subtlety in full glory. The resort is situated on a hill, in the middle of nowhere, where you can view the Atlantic Ocean. How much space is there at the Monte Velho Eco Retreat? The retreat centre has a lot of space and room for 2 x 24 people. Because we’ve chosen for personal attention, space and lightness we have decided to share the space with 12 women instead of 24. Can I discover the area around the retreat centre? Absolutely. You can walk, and run in the area or go to the ocean. So, let’s try it. The costs of the lesson are included in the retreat price. What do you advice to bring to the retreat? When is the pre-retreat day? Designed by Loebzuiver and Rosalie Puiman. All rights reserved (2018).